Thanks for your devotion for the 2008 Beijing Olymics. 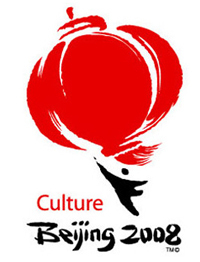 The Beijing Organizing Committee for the Games of the XXIX Olympiad (BOCOG) have launched the volunteer recruitment program for the 2008 Olympics. The door is open for you dream to be part of the extravaganza. The BOCOG estimated the 2008 Games need around 10,000 volunteers, including 30,000 of them working for the Para-Olympics. Applications from around the world would be accepted, but the majority would be picked up from local residents and college students. Those born after June 30, 1990 are ineligible. Only those whose health conditions will allow them to volunteer during the Games should apply. Volunteers must be able to attend pre-Games training and serve at the Games for at least seven days without interruption. Volunteers must abide by Chinese laws. Applicants living abroad should submit applications in March of 2007.